Last night my phone tinged. ‘I think you need to do this,’ said my virtual buddy Jonelle from the Only in Japan blog. Considering I was having my little pity party yesterday I wasn’t sure what ‘this’ was going to be; 100 lashes with birch twigs; eat ‘all’ the chocolate, spend my evening online looking at pictures of pigs in knitted socks (oh, hang on, that was last week)? Actually ‘this’ turned out to be a half marathon taking place in San Francisco next May, one of the Run Like A Diva series. Now this isn’t new, but it had escaped my beady little eyes before now. It bills itself as the most fun and glam running event with boas, tiaras, flowers, handsome hunks and more. They had me at tiaras. 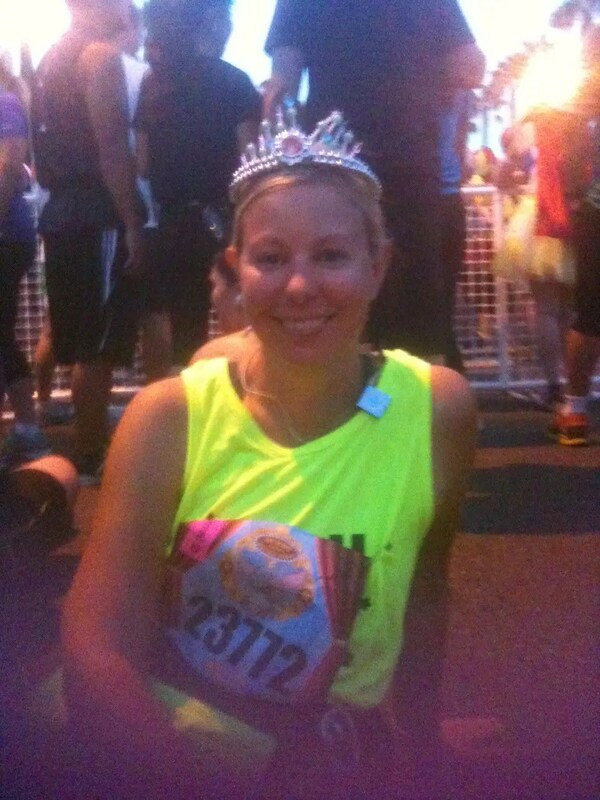 I already have a running tiara (see look). Bar airfare and that pesky training malarky I’m ready! The San Francisco event takes place on May 31st next year but there are sooner ones in other US cities. SF appeals though a) as it’s far enough away from the Disneyland Avengers race I’m doing in November to be viable b) Jonelle lives there at the moment and we’ve been looking for a time to finally meet. Plus c) it’s close to The Boyfriend’s birthday when he likes a holiday! I can’t quite commit to it just yet as I’ve got a few other things to sort out first, but if you have no such obstacles in your way registration has just opened at runlikeadiva.com. Now, if only I could get them to come to England……..
Ooh. Will have to listen. May help me decide. Thanks.